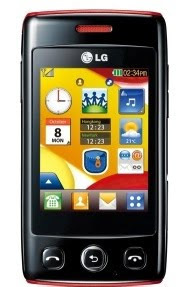 LG has recently updated its cell phone family with introducing a fully-featured multimedia phone, the LG T300 Wink. Loaded with latest technology and new advanced features, the cell phone offers its users with interactive mobile computing platform. Expandable memory of up to 16GB via microSD card slot. Bluetooth version 2.1 with A2DP and microUSB v2.0 connectivity for rapid data transfers.